Will My 401(k) Last for the Rest Of My Life? If you’re starting to think about retirement, and your career has largely been in the private sector, your 401(k) balance could be the most important factor in determining whether you’re on track to retire or not. Whether your 401(k) will cover your spending needs until the end of your life will depend on a lot of factors. It’s important to not just pin your hopes on a certain target for an account balance–a million dollars, two million dollars, whatever–and instead look at the whole picture. So let’s start with a few other questions that are just as important. Are You Saving as Much as You Can in Your 401(k)? There’s almost no way around it: You have to save money to make money. There is often a bit of a free lunch–call it a free appetizer–when it comes to 401(k)s, though: The amount your employer matches your own contributions. It could be a dollar-for-dollar match up to point, or some percentage of what you contribute yourself that increases over time. Either way, you definitely want to contribute at least this amount, or you’re leaving that free appetizer on the plate. But that should really only be the beginning of any 401(k) savings plan. Fidelity advises saving 15% of pretax income. If you’re 30 or 40 years old and haven’t given the issue much thought until now, that number should serve as the minimum you should save. Get into the habit of increasing your contribution percentage each year. Psychologically speaking, if you never see it hit your paycheck (because it’s going straight to your retirement account), you won’t miss it. Set an annual calendar reminder to increase that contribution, even by a half a percentage point. Between the contribution increases and salary increases, you should be able to put your contributions on a sharp upward trajectory. Once you have your plan for annually boosting 401(k) savings in place, consider what other sources of income you are counting on at retirement. Social Security is an obvious one. If you’re lucky you might have a pension of some sort. Brokerage accounts, rental property, or the planned sale of some asset like a business should all be taken into account as well–and will almost certainly affect how long you can expect your 401(k) will last. Another reason not to simply come up with an arbitrary hit-your-number mark: Spending matters. At the risk of stating the obvious, your 401(k) and other investment assets will generally last longer if you plan to sip rather than gulp. You’ll want to have a very solid grip on your plan’s MPG–that is, your projected spending in retirement–to get an accurate reading. Even if you are diligent about saving to your 401(k), you probably haven’t considered what the plans might be costing you. And why would you? The plan administrator’s fees–in addition to the fees paid to the fund companies themselves–are largely out of your control. But it’s important–especially the further you are from retirement. Fees can really chip away at account balances over time. Consider a 401(k) returning about 7% annually. 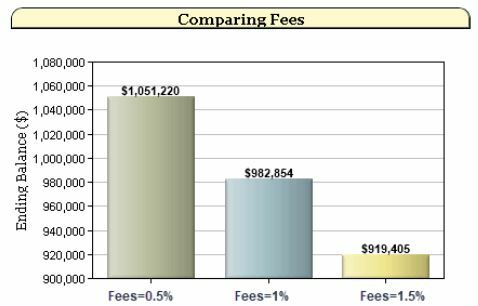 Here’s what happens if we modify the fees by half a percentage point and assume contributions of $18,000 per year. 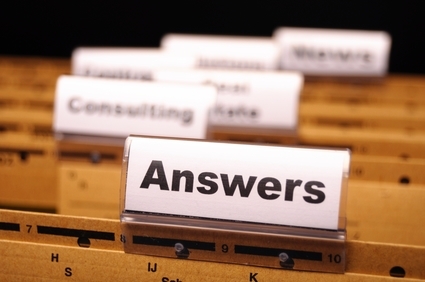 Your main recourse here is to talk to your HR department and start asking questions. What are the fees of running the plan? How do they compare with fees offered by other plan administrators for companies of your size? Making sure the HR team has done their due diligence on this could mean tens of thousands of dollars to you. A large 401(k) balance could have a big effect on when you can retire and your living standard when you do. But looking at it in the context of everything else we’ve talked about here is more important than an absolute dollar figure. Total savings, where you plan to invest your assets, the cost of those investments, and your spending habits are all complementary forces that will factor into a successful retirement plan. Getting an early start with your retirement planning is important because it generally takes quite a few years to gather the funds that will be necessary for you to have a comfortable living when you get to retirement age. If you start investing early in your career, your investments have the time they need to grow throughout the decades while you work so that your retirement years can be comfortable. Today’s life expectancy has grown with the advance of science and medicine. This means that there will be more years in between retiring and death. Because of this, you will need even more money so that it will last you that much longer. You can’t expect to retire on Social Security alone either. Today’s average benefits for Social Security are just about $1,180 per month, which just isn’t enough to live on. Also, the age for collecting complete Social Security benefits is going up. If you were born after 1942, you won’t be eligible for full benefits until you are 66 or older. This is just one of the reasons you need to start investing for your retirement now. You also need to think about medical issues that you might have to deal with in your dotage. Why don’t we take a look at some of the investment options that are available and a tip or two for saving and investing money? Bitcoin and Ethereum are two types of cryptocurrency. Cryptocurrencies are a relatively new type of virtual money that is digital. It isn’t controlled by any sort of central financial institution, but every transaction is recorded digitally in what is known as the blockchain. Cryptocurrencies have value because there is only a finite number that will be produced. Also, more and more businesses are using and accepting them. You might have even noticed that when HBO was hacked earlier this year, the hackers demanded a ransom in Bitcoin. If you are interested in investing in a cryptocurrency such as these, you can buy them outright if you want to go the easy route. Then, you can hang on to what you get and sell it for a profit at a later date. Alternatively, you can invest some time and money into mining for it by using a company like Genesis Mining. Most of the time, when people think about bonds, they think of those low return for low risk type of investments. That being said, this theory is based on an assumption that whoever is actually issuing the bond has a credit rating that is outstanding. Companies with great credit ratings don’t have to pay interest rates that are high in order to attract their investors. Junk bonds however, are actually bonds that are issued by companies that have credit ratings that are very low. This means that they have to offer higher rates of interest, but it also means that they can default on the bond altogether. This is a risky investment strategy, but it does offer a higher return on your investment if it pays out. If you want a helpful money saving tip or 3, you have come to the right place. One tip that everyone should know is to not spend more than you make. Another thing you can do to save a bit of money is to change your bank so that you can take advantage of different perks and possibly earn more interest. You might be paying a monthly fee right now for your savings and checking accounts. If so, you might want to check on some of the offers other banks have. Some banks will even offer bonuses to people who open new accounts and set up their direct deposit. Others offer interest rates that make switching worth it. One last tip is the 30-day rule. If you see something that you want to buy – be it big or small, and it isn’t an absolute necessity, wait for 30 days before you buy it. Often, once that period of time has passed, you will no longer have the urge to buy whatever it is and you will have saved all of the money that you would have spent on it. By saving and investing, you will have the best chance possible to retire comfortably. A 401K is a savings plan for retirement that is sponsored by your employer. Employees can save a piece of their paycheck before taxes are taken out, and put it toward their retirement. Talking about far-off retirement plans can be overwhelming and boring. After all, it’s way easier to think about the here-and-now. We budget, save for vacation and pay the bills. That seems like enough… right? On the contrary, planning for retirement is incredibly vital and cannot be forgotten or overlooked. The 401K may be a good fit for your lifestyle, but there can also be cons. Your employer may not be matching the money that you contribute, and also could require tenure before allowing you to withdraw. If you aren’t sure about the 401K, there are many different options out there to consider. 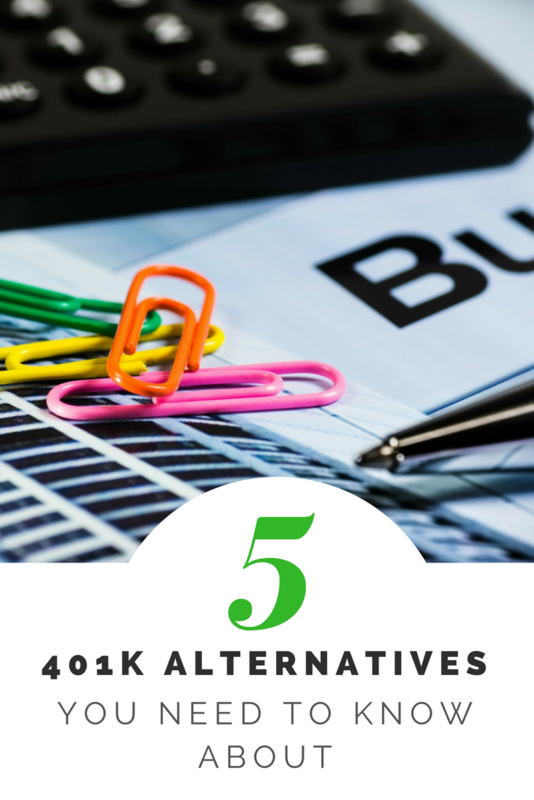 Here are some alternatives to the typical 401K that may compliment your lifestyle and finances better. Index Funds- These are funds invested on an index of stocks. (You may have heard of S&P 500 or the Dow.) By investing in an index fund, you basically are investing in all the companies that make up that particular index (instead of investing in certain stocks). You are at the same risk as those who buy stock individually, but since the market typically increases over time, index funds could be used as an investing option for retirement. Roth IRAs and Traditional IRAs- IRA stands for Individual Retirement Account. Roth and Traditional IRAs differ from the 401K by bypassing the employer altogether. You save completely on your own for retirement. The biggest difference between the Roth and Traditional lies with when you pay your income taxes. 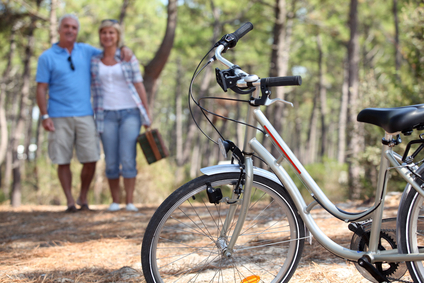 Check out the two and see if one of these may be a better retirement plan for you. Simplified Employee Pension IRAs- SEP IRAs are a great option for any of you independent contractors, free-lance workers, or business owners out there. It is very similar to the Traditional IRA and could be very beneficial with your taxes. It doesn’t matter how small your business is, so definitely check it out! Variable Annuities- These are contracts between you, the investor, and an insurance company. The investor purchases a variable annuity upfront or over a period of time, and the insurance company makes periodic payments to you after retirement. However, there can be high fees and tax penalties, so do your research and insure that the contract is safe and beneficial for you. Bonds- Bonds may be great to dabble in addition to the 401K or any of the other retirement options listed above. Bonds essentially are saving accounts that pay interest rates. You set these rates at the time of purchase, and it’s an incredibly safe and stable investment. Because of its safety, they typically return less money than other higher risk investments. However, your money will be safe and making interest for retirement. Do some research on what your employer offers and which option may be the best fit for you. Regardless of what you choose to use, saving for retirement should be a priority in your life. It is difficult to believe but some surveys recently have suggested that the average couple has just $5,000 in a retirement savings account. The Economic Policy Institute has analyzed Federal Reserve data and has stated that the top 10% have at least $275,000 which in itself is not fantastic bearing in mind that life expectancy is increasing and many people can expect to live well beyond 80. There was a dramatic change in retirement saving in the 1980s. Previously companies guaranteed pensions to their employees. The introduction of the 401(k) changed the emphasis. Workers were given control of their retirement rather than having to rely on their employers’ generosity or the Social Security System. Instead companies made contributions up to a certain level into their employees’ individual plans but has no responsibility for their success or failure. Hindsight is a wonderful thing but it has been little short of a disaster with the vast majority well short of what they will need to fund a comfortable retirement. The figures are so poor because it appears that nearly have of couples of working age have no savings at all and almost 40% of those within 10 years of retirement are in the same position. The problem is compounded by the fact that the Social Security System is fragile at best. Without a significant injection of funds existing benefits will fall by as much as 25% early in the 2030s. That significant injection can only come from taxation and that is a very unpopular topic, especially among Republicans. Even now the average benefit is little over $1,000 a month which can hardly provide any real source of comfort. The theory that the introduction of the 401(k) would ensure that everyone would have the retirements they wanted has been thoroughly misguided. Their reliance on Social Security has risen dramatically rather than fallen. Those in the low tax bracket have little financial benefit in saving and this is the band of people who are in the greatest need. Tax breaks are therefore fairly irrelevant for the majority. Tax breaks are great for higher earners but they are not in as great need. All those with that $275,000 mentioned above come in the middle to top wage bracket. They would have probably saved anyway without the need for a tax incentive policy. The question is whether the plans are wrong or whether people have simply found themselves unable to make proper provisions for themselves? The recession certainly caused widespread misery especially for those tempted to take on too much credit. The real estate market had been buoyant and everyone had expected to make money from investing before the Collateralized Debt Obligation crisis hit their plans. Plenty of people took out multiple credit cards and spent money they simply did not have. Their logic, if they had any, was that there were other cards offering 0% balance transfers where they could move their debt to avoid paying interest. Those deals were temporary and the escape routes soon closed. Defaults, unemployment and utter misery followed. Many were unable to meet their liabilities and although debt has been written off and the economy has recovered it seems that personal finances in the Country have barely improved. The figures of what retirement savings the average working family have are proof enough. If you add the average credit card debt in the USA exceeding $5.000, dividing the debt by the number of cards in circulation, the picture gets worse. When you take away the number of cards whose owners pay in full at the end of each statement period, the debt goes up to over $15,000. It is what it is. Every family will know how they stand or at least they should. There is no point in ignoring financial problems because they will not disappear as if by magic. Everyone should take time to write down their income and regular expenditure as well as their debts and assets. If the figures are to be believed there is only a small minority that can feel satisfied with what they see. Credit Card Debt. If you have significant debt and you cannot afford to pay off your balances you will be paying a high rate of interest as well as having core debt. You should look at taking out a consolidation loan to pay those balances off in full. The rate of interest you will be paying on the nation 21 cash loans are much lower than credit card companies charge. A budget. You must start to discipline yourself when it comes to spending. There is no point in paying off those balances simply to build them up again. Look at whether you can make savings on some of your regular bills. They can include utilities and insurance for example. There are comparative websites that will do much of the initial research for you. After you have created a surplus don’t suddenly think you can begin to spend. This surplus should be put towards retirement or an emergency fund. Both are important and ideally you will create an emergency fund worth about 3 months of your regular expenditure. If your financial situation is poor you have to act. Retirement can be a cold and lonely place if you have not got the money to make it comfortable. Americans are overconfident about their finances, feeling more secure than their actions warrant, according to the latest Financial Literacy Survey conducted by Harris Poll for the National Foundation for Credit Counseling and NerdWallet. While more than nine out of 10 people feel “very” or “somewhat” confident about their most recent financial decision and two out of three give themselves an A or B in financial knowledge, six out of 10 are spending money each month without a budget, an equal amount aren’t able to save or buy a car because of student loans, and more than four in 10 aren’t saving for retirement. Ouch. Becoming a genuine financial expert means taking a step back and arming yourself with the knowledge to build a solid foundation for investment confidence. Knowing how much to save is the most fundamental question in personal finance. While many financial advisers recommend following a rule of thumb such as saving 10 to 20 percent of your budget per month, Forbes recommends developing a customized savings plan based on how much you will need to invest to fund your annual living expenses. The first step in the Forbes strategy is to estimate how much you’ll need to save up to fund the lifestyle you want given your projected annual expenses, whether your goal is to retire at a traditional age or to achieve financial freedom early. Once you’ve set this goal, calculate how long it would take you to reach it assuming your current savings rate and annual rate of return, and then make any necessary adjustments you need to achieve your goal within your desired time frame. 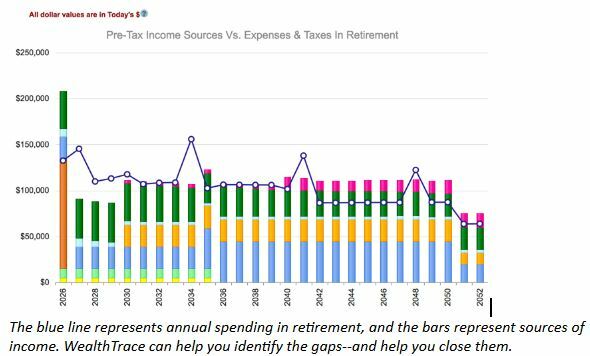 Forbes suggests setting a goal based on the assumption that you’ll be spending 4 percent of your savings per year in retirement, and they provide spreadsheet and calculator tools to help you do the math. While building your nest egg, it’s also important to build your credit so you can achieve your major purchasing goals. FICO’s consumer myFICO site explains the variables that go into credit scoring, which include your history of repaying debs, amount owed in relation to your income, mix of credit cards and loans, and frequency of submitting credit applications. For a more advanced understanding of credit, consider specialized educational resources. For example, Moody’s Analytics offers a Corporate Credit Ratings Analysis seminar. For most people working in a traditional job, a 401(k) plan should be the foundation of your investment strategy. Daily Finance provides a good overview of 401(k) basics, explaining how you can roll over your money into a new 401(k) or an IRA if you leave your job. For those seeking 401(k) alternatives, NetCredit outlines other fundamental options such as traditional, Roth, and SEP IRAs, annuities, and index funds. Your 401(k) plan or equivalent normally forms one component of a complete investment plan designed to achieve your major financial goals, chief of which should be saving for retirement. A complete retirement income plan should include a diversified mix of withdrawals from an investment portfolio, fixed-income annuities and variable annuities. A financial adviser can help you select a specific investment mix appropriate to your goals, income and risk preference. You may be young, but it’s never too early to prepare for retirement. According to a study via the National Retirement Risk Index (NRRI) and the Retirement readiness Rating, 43% to 52% of Americans are not going to live their retirement years in the standard they’d hoped, according to their current living standards? So what’s the best way to be prepared for the life you want to lead when you retire? Start planning now. Check out the following five tips to do so. So you’ve started working for an employer who has a 401(k). You may feel you don’t have the money to spare to contribute, but you’re losing out on more by not contributing. For one, it’s an excellent tax deduction, reducing your taxable income. Also, most employers offering this plan offer some matching contribution. Don’t leave behind that free money on the table. These savings plans handcuff you from quickly accessing this money, so saving it up is a breeze. Here is another way to start saving towards retirement. You can use this in combination with putting money into your IRA. Start saving money into a savings account by having it pulled automatically from your paycheck each pay period. Talk to your human resource or payroll department about taking a specific dollar amount or percentage, and deposit it into this designated account. This is a guaranteed way to get it in monthly. It’s said living healthy is costly, especially if you eat organic foods. However, organic products aren’t the only road to good health. There are other things you can do such as regular exercise, cut down on your fat intake, and stop smoking. The results: you reduce the chances of developing cardiovascular or lung diseases and live longer. This helps you save by eliminating excess doctors’ visits, hospital stays, prescriptions, and as a bonus you’ll also save on not purchasing excess, unhealthy items. Getting rid of debt now will help you prepare drastically when you retire. Not having to worry about a mortgage, car note, or credit card bills help you have money for future lifestyle and vacation plans. The sooner you pay these off, the faster you can start saving for an emergency fund to use instead of your retirement savings for emergencies. In a study called Work in Retirement: Myths and Motivations, they studied 7,727 adults regarding their position on returning to work after retirement, 30% said they would go back to work. Instead of working for someone else, prepare now to work for yourself. This will help you enjoy your retirement years as you want, when you want. Don’t feel it’s too late to prepare for retirement. Implement the above five tips now and keep on target for future goals. As people grow older, they’re more willing to pay attention to their finances. Thirty-eight percent of Americans ages 25-32 say they’re too busy to think about long-term financial goals, and that number steadily declines to 13 percent for those over 66, Northwestern Mutual has found. 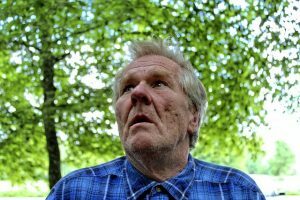 However, the number who feel too rushed by society’s pace to stick to long-term goals grows from 61 to 75 percent over the same age margin. Together, these numbers paint a picture of an aging population increasingly aware of their urgent financial needs but too stressed out to take appropriate action. To counteract this trend, make a commitment to yourself and your finances. Set aside some time to review your goals, ideally with the help of a professional advisor. Then get in the habit of taking 15 minutes a week to review your budget. Use your long-term financial goals to guide your short-term budgeting. Fidelity Investments offers various calculators and tools to help you estimate how much you need to set aside each month to reach your retirement goals. Wells Fargo provides a worksheet to help you break down your financial goals into intervals of one year, two to five years, and five years and over. Yes, you need a budget. Consider following financial expert Elizabeth Warren’s 50/30/20 rule: Put 50 percent of your monthly after-tax income toward essential living expenses, 30 percent toward discretionary spending and 20 percent toward savings and debt repayment. According to financial advisor Dave Ramsey, you should initially put the savings and debt repayment portion of your budget toward a $1,000 emergency fund and paying down your credit card balances before pursuing retirement and other savings goals. When applying this strategy, you can save for retirement faster by reducing your debt obligations. If you receive regular payments from an annuity or structured settlement, consider contacting a company that purchases future annuity payments for a lump sum of cash now. You can then use this money to help repay your debt. To grow your savings, check if your employer offers a 401(k) plan or another retirement savings plan, and start contributing—especially if it’s a matching plan. If not, invest in a traditional IRA or Roth IRA. After that, the next place to invest is an index mutual fund, suggests the Wall Street Journal.